NYE 2017 | ENVY Nightclub and Lounge | Mesquite, NV. ▶ #1 NYE PARTY in Southern Utah & Mesquite! Get ready to ring in the New Year ENVY style! Don’t cut your NYE celebration short! 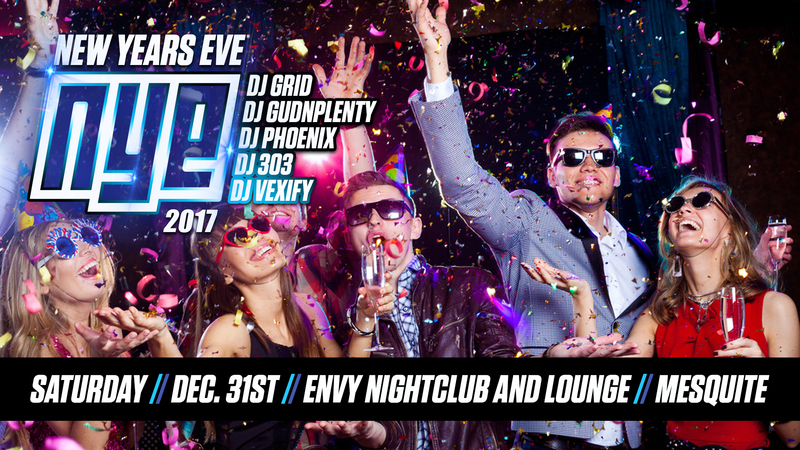 Party until the sun comes up at the LARGEST 21+ NEW YEARS EVE Party with a FULL BAR, REAL BEER, NO LAST CALL, STREET TACO CART & 5 DJ’s at ENVY Nightclub and Lounge! 5 of Southern Utah’s Top DJ’s spinning today’s HOTTEST music! $50.00 reserves a lower table for 4 people, includes a bottle of champagne at midnight! ▶ Call 1 (702) 346-9000 to reserve a lower table or to reserve your area in VIP and ring in the New Year in style! ⬇️ Share and Invite your friends!